Dear friends, am happy to announce that the next PRANIC FESTIVAL starts on August 15, 2017 in Romania! We’re now planning a 4 day festival in a fabulous mountain area of Romania (Sambata de Sus), and also the possibility to visit other Romanian energetic areas (energy vortexes) after the festival. Sambata de Sus is one of the strongest energy portals connected to and manifesting as the crown chakra of Romania (Romania has all 7 vortexes corresponding to the human chakras). 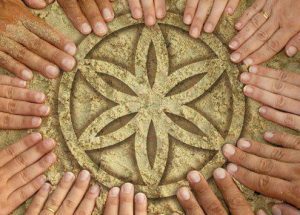 Find out more about the connection between pranic festivals and the energy portals of the world, here. We also have on Skype, Jasmuheen and Mantak Chia . The list continues as we get more answers from the speakers. The participation fee is 113 USD (100E) for 3 days or 37 USD(33 E) for one day. Children are welcomed and have free entrance up to 12 years old. Send an email to eltrayan@soulhealing-holistictherapy.com to get all details for your payment. You can also use this link to book the room. Make sure you book your place now, as accomodation is filling fast due to Mother Mary’s feast (August 15 celebrated in Romania). For acommodation, you can book double or triple rooms at the cost of 15-30 E/person/day (depending on the room and building). Book the date and a flight to Sibiu/Bucharest/Cluj (Romania) and write to us to tell you how to get to the Festival from there. Make sure you bring comfortable clothes and some jumper/jacket for evening, as the weather can get really chilly. Please bring a yoga mat/blanket for physical exercise. We’ll be having live streaming transmissions for the speakers who join us online, so you can all join the Festival for the online conferences. Book your “seat” for the online conferences with a contribution of $25 (using this link). This contribution grants you access to all online conferences, which will be streamed in real time on a link that you’ll be receiving via e-mail after your payment. Olga Podorovskaya , Jasmuheen (online), Cristiana Eltrayan,Mantak Chia (online), Nassim Haramein, Ray Maor(online), Valerio Verrea, Oberom Aum(online) and Pascal Martelli have confirmed their participation to the Pranic Festival in Romania – see their bios below. Fabulous others still to come . WHO ARE THE SPEAKERS ? In 2010, she is said to have realized Enlightenment. This made it possible to create the “Technology of Enlightenment” – an unparalleled system of explanation and direction of attention of listeners, through which they complete their path of spiritual search. 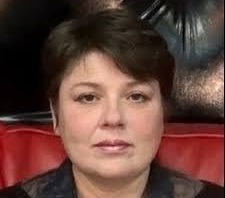 In 2011, she transited to Breatharianism by her own method and obtained the certificate of copyright for it.This “Method of transition to Breatharianism” is said to be designed for those who want to pass the path of evolution. As an Ambassador of Peace for the Embassy of Peace, she has traveled for over 20 years and achieved many positive things in the world with her work with tribal cultures in Colombia, the Amazons and also the slums in Brazil plus working with various levels of government including presenting her work again at the UN in Vienna in 2013. Through this time she has been helping to educate millions into better global resource usage via developing a stronger connection to the Divine resource within and since 1993 she has been personally nourished by prana and for over 20 years have lived without the need to take physical food. Using his knowledge of Taoism combined with the other disciplines, Master Mantak Chia began has founded the Universal Healing Tao System. He eventually trained over 6000 instructors all over the world to communicate this knowledge and he established the Natural Healing Center in Thailand. He has been now travelling the world for 35 years, teaching and sharing his wisdom of the Universal Healing Tao practices. He has written many books on internal healing with the chi, including the state of Bigu (pranc nourishment). Master Mantak Chia has been the only one named twice as Qigong Master of the Year by the International Congress of Chinese Medicine and Qi Gong in 1990 and 2012 and is also listed as number 18 of the 100 most Spiritually Influential people in The Watkins Review 2012. Nowadays, Master Chia is still in the list of the 100 most influential spiritual leaders, teching his Taoist healing methods and Taoist emotional intelligence all over the world. 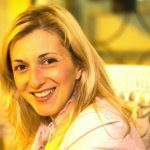 For many years Cristiana Eltrayan has worked with people, as a holistic therapist and life coach. 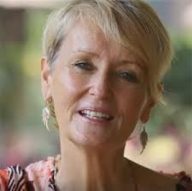 After having pursued and achieved professional success in management, she has oriented herself towards the self-balancing and spiritual development field, which she has studied and practiced for years with Yoga, qi-gong and other biofield practices that are meant to make us a purer channel for The Divine. 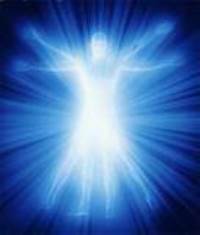 Her intention and drive is to become and stay a pure channel for Light for as long as possible in this physical body and to share this knowledge with those opened to this. The first contact with knowledge about Pranic nourishment came to her in 2010 and she has since then followed the steps for allowing her human system to shift to the Pranic Counsciousness, allowing herself to be nourished purely by Prana whenever the body requires it . She is teaching The Pranic Consciousness Process, online and on video, for those who want a smoother transition to pranic living. 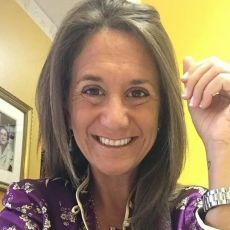 She is now also practicing the Soul Healing – Holistic Therapy – which deals with the balance between body – mind-soul and deprogramming and reprogramming the energy field, and shares her experiences in books, workshops, classes and conferences. She is the author of “Darkroom Retreat-A Light-Full Mystical Experience”, which describes the dawning of her pranic journey. 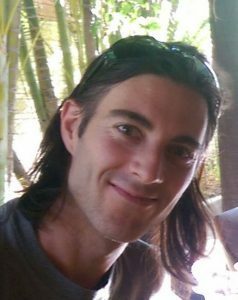 Pascal, born in 1981 in Switzerland has a foot in Energy Healing/Mediumship and another in science. With a PhD in neurophysics, he continues his research in altered state of consciousness (lucid dreams, trance and meditation). He is also a therapist giving Spiritual healing and guidance. His goal is to create bridges between the invisible and the visible world! 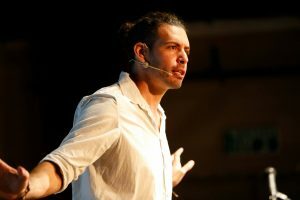 Valerio, born in 1978 in Italy, is Sociologist, PhD in Cultural Sciences, guide for Family Constellations and Shamanism, and he is founder of the Anima della Terra holistic ecovillage project in Italy. Beside the academic career and teaching at the University of Leipzig (D), he deepened shamanism since early 2000’s, from Core Shamanism to Inkan and Mayan traditions. He is Master Reiki e founder of the Shamanic Reiki method. 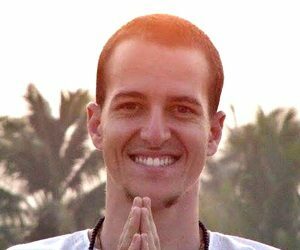 He deepened the topics of Tantric love and sexuality with several teachers and merged into the topic of breatharianism since 2013 with Akahi, Victor Truviano and Jasmuheen. He is Ambassador of Peace for Jasmuheen’s Embassy of Peace. Valerio’s work on Pranic Nourishment focuses on the removal of blockages which, coming from the past, hinder the possibilities to access full Pranic State. He applies the powerful tool of Family and Systemic Constellations, coming from the theories of Bert Hellinger, to the exploration of the personal subconscious connected to the Pranic State. This practice brings awareness about the hidden bonds, which connects emotions and food, and gives the possibilities to solve unwanted and unhealthy habits. Have you ever felt crazy cravings for food?! Valerio offers the possibility to explore, understand and solve them. 3. The Influence of Emotions and Family on Our Eating Habits. Ray Maor is ”a guide for self mastery and a breatharian initiation.”* He has been living a Pranic Breatharian way of life for many years now. It is his goal to raise global consciousness and share his knowledge of claiming our full potential as human beings. This means recognizing and better understanding the illusion of the reality that is dependent on our beliefs. With his family, Oberom has researched and experienced the Pranic Consciousness since 2001 when they underwent the process of transformation to living on light (without the need of physical food). Oberom brings together some of his experiences with Vipassana, Yoga and studies about the development of the Higher Self, the I AM Presence. 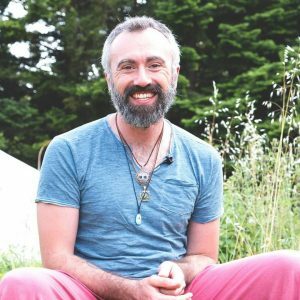 He has worked since 2003, with over thousand lectures and workshops at events, holistic spaces and Yoga centers, between the countries of South America, North America, Europe and Asia. In addition to lectures and workshops on topics related to Pranic Consciousness, Yoga and veganism, he works as a facilitator of the ’21 day Process’ – an innitiation in pranic nourishment – in the Portal Parvati’s retreat, in Brazil. He is also author of the book Traveling in the Light. Graduated in Physical Education, postgraduate degree in Human Nutrition and Health by UFLA – Federal University of Lavras, Brazil. And postgraduate degree in Yoga by FMU – United Metropolitan Colleges, course connected with the Lonavla Institute in India. He is Yoga teacher registered in the Yoga Alliance, and has gradueted from Yoga Schools in Brazil and India. If you’re coming by plane, you then have to either rent a car or come by train to Fagaras, where we pick you up to the festival venue. Trains from Bucharest are here. Trains from Sibiu are here. WANNA LEARN MORE ON PRANIC CONSCIOUSNESS AND JOIN OUR EVENTS?